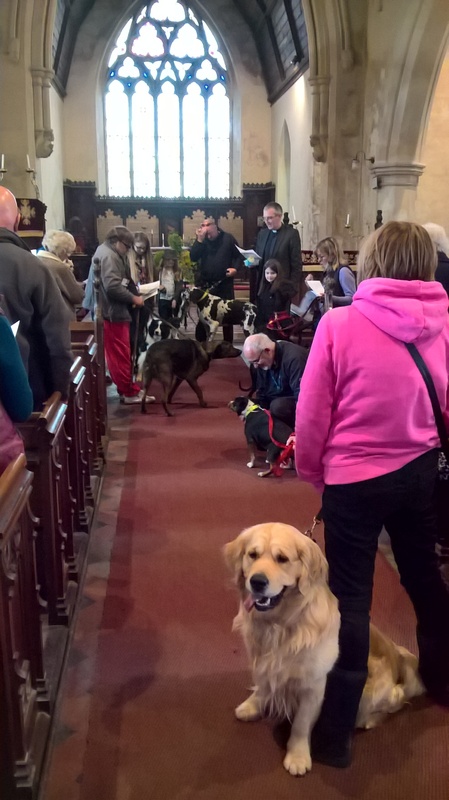 Woofs of delight were heard at the first ‘Pet Blessing’ Service held on St. George’s Day at St. Peter’s Church. 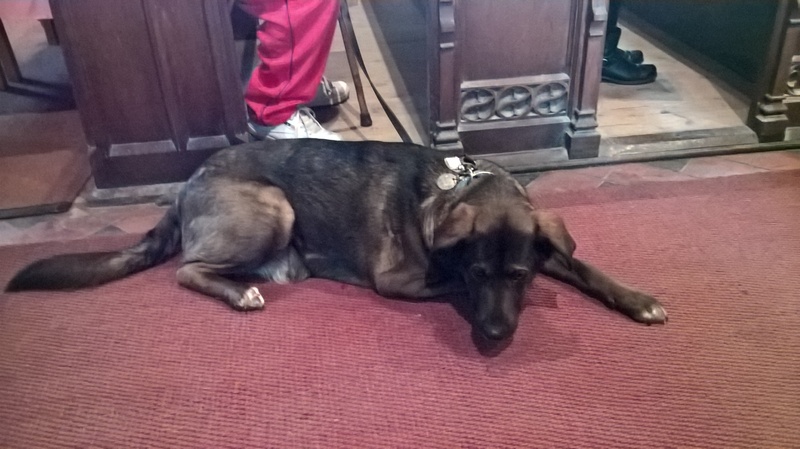 Pets from the parish and beyond came to join in the hymns and make friends…so did their owners! A good turnout was able to appreciate the newly cleaned church and tidied churchyard, enter a raffle for some pet related prizes and have a nice piece (or two) of cake and tea. The day was cold, in fact it seemed colder inside than out, but this didn’t dampen the enthusiasm of all involved. We had pet and animal related readings and prayers, suitable hymns (‘All Things Bright and Beautiful’ was a shoe- in for starters), and some very interesting contributiions from the RSPCA and Pets as Therapy, who brought along a few of their suitably trained dogs, that play such an important role with people who might otherwise lose connections with the world around them. There was even a pet parade and rosettes awarded for the best turned out pets (and owners). All in all a very satsifactory outcome for our first try at something a little different!Thanks to Ken’s Corn Stores, Tesco Aylsham and Pets at Home, Longwater, for their kind donations and sponsorship. The next service, rather more traditional, will be Rogation Sunday, 21st May, and hopefully, if anyone out there is up for it, a further day of churchyard weeding the day before…watch this space. After the Service there was a meeting about setting up a new Parochial Church Council for the church and as well as several people wishing to join the Parish Register, five volunteers were duly agreed as the core of the new P.C.C. It’s first meeting will hopefully be soon. Talking of meetings, if you’re interested in helping to plan and organise events at the Church, please come along to the next planning meeting on May 9th at 7.30pm, to be held at the Old School, School Road, Haveringland.